This course is designed for dropper (XII Passed) students. The course maintains a rigorous schedule as most of the students take it as their last chance. This course is given at least 30% more classes compared to our other courses. Students are involved in number of problem solving practice sessions. We work desperately and leave no stone unturned. There are separate batches for students aspiring for IITs, NITs & Medical. 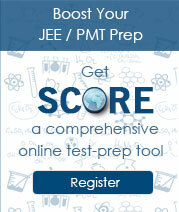 The course covers the syllabus of competitive examinations (JEE and NEET) in depth. At this stage we demand utmost sincerity and devotion of student to make them achieve top ranks. 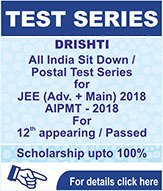 Towards the end of this course, our all India test series- Drishti develops a good exam temperament. Despite limited time of 1 year this course has produced toppers in competitions as well as Board. 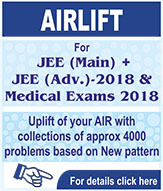 Science students who have passed class12th are eligible for this course. 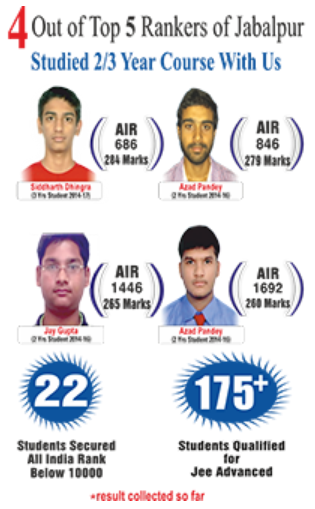 Student must have scored at least 60% marks or equivalent grade in 12th.There is no entrance test for NIT and Medical batches. Those willing to join our IIT batch should qualify in our entrance test.